The Marion Family YMCA offers a wide variety of activities and programs for youth and teens. This page gets updated often with the latest so check back often. 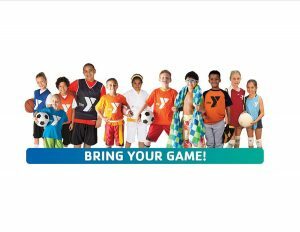 You can sign up for programs at the YMCA or online by clicking here. Programs focus on teaching the players the basic skills, teamwork & sportsmanship. All participants will play equal time. how to follow rules and practice good sportsmanship. Preschool camp will focus on building relationships and a sense of achievement. Participants must be bathroom trained. This program will run from 9:00am-12:00pm, Tuesday, Wednesday, and Thursday, every other week throughout the summer. Cost for this program is $45.00/WK for members and $65.00/WK for program participants. This program will run from 9:00am-4:00pm, Monday-Friday, for 10 continuous weeks throughout the summer, starting on June 3, 2019 and ending on August 9, 2019. Pre-Camp will be available Monday-Friday from 7:30am-9:00am, and Post-Camp will be available Monday-Friday from 4:00pm-5:30pm, and the cost will be $15.00/wk for members and $20.00/wk for program participants. Youth Summer Camp will usually include off campus trip(s) during the week. Cost for this program is $100.00/WK for Member’s and $145.00/WK for program participants. There is a $5.00/week fee for any child needing lunch provided to them for the week. Lunches will be provided by the YMCA 3 days a week. Friday lunches will be at Lincoln Park Aquatic Center. Parents are responsible for sending their child with a sack lunch on all other field trip days. 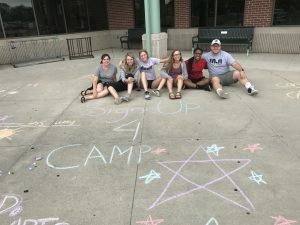 LIT Camp focuses on building a sense of social responsibility in the older youth, through volunteer work, building relationships with each other and the community, and by providing guided leadership opportunities with the Youth Summer Camp program. Each week may include a field trip or community service project off campus. This program will run from 9:00am-4:00pm, Monday-Friday, for 10 continuous weeks throughout the summer, starting on June 3, 2019 and ending August 9, 2019. Pre-Camp will be available Monday-Friday from 7:30am-9:00am, and Post-Camp will be available Monday-Friday from 4:00pm-5:30pm, for no additional fee for LIT campers, for LIT campers only, as this is part of the LIT experience. There are Financial Assistance and sibling discounts available. 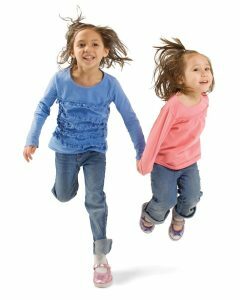 The sibling discount is a savings of 25% for each additional child in each family, and only applies to Day Camp, not Pre and Post Camp. Financial assistance with camp fees is available for those who demonstrate financial need. This excludes Pre and Post camp fees. This is an important part of our mission to be available for all. Financial assistance starts with membership. If you think you may qualify for financial assistance, please complete a Financial Assistance application. These are available on our website http://www.marionymca.org/financialaid or at the Marion Family YMCA. Build coordination, agility, control, self-confidence through this program. Belt tests are offered. 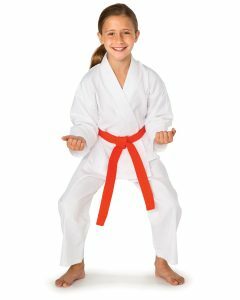 Martial Arts uniform is recommended for the class at an additional fee of $35. The Martial Arts classes will assess each child before being placed in a class. All participants will sign up for the basic class. After the assessment, you will be placed in either basic, intermediate or advanced class. First day of the session, you will come to the class at 6:00 pm. After the assessment, the instructor will place you in a class. The following are the days and times for the classes. Learn. Thrive. Grow. Meet others while improving coordination, balance and flexibility. The YMCA is the place to be when school is out. Swimming, crafts, games, nutrition, and character development are just a few activities that will be offered each day. Children will need to bring a swimsuit, wear comfortable shoes, and be ready for an educational and fun filled day. Must register 2 business days in advance; $10 per day if register after deadline. Youth in Government is a program where teens learn about the legislative process, how to write and research bills, and how to participate in elections. Their work culminates in teens serving as delegates at their state conference, debating bills on the floor of the legislature. Join a delegation today! For more information, contact Kaylee King at 740-725-9622. Flag football is fun for everyone and a safer alternative for parents who might hesitate letting their child start tackle football. environment. With games played every Saturday, the Youth Flag Football League is a TOUCHDOWN! Motions, movements, and stunting in a safe environment along with basic tumbling skills. Participants will cheer at YMCA Flag Football games, weather permitting. Price includes Poms and T-shirt. played every Saturday, you’ll get a KICK out of our Youth Soccer League!